Our comprehensive range of LiFePO4 batteries are the ideal solution to very demanding applications that require a light weight, higher capacity battery. 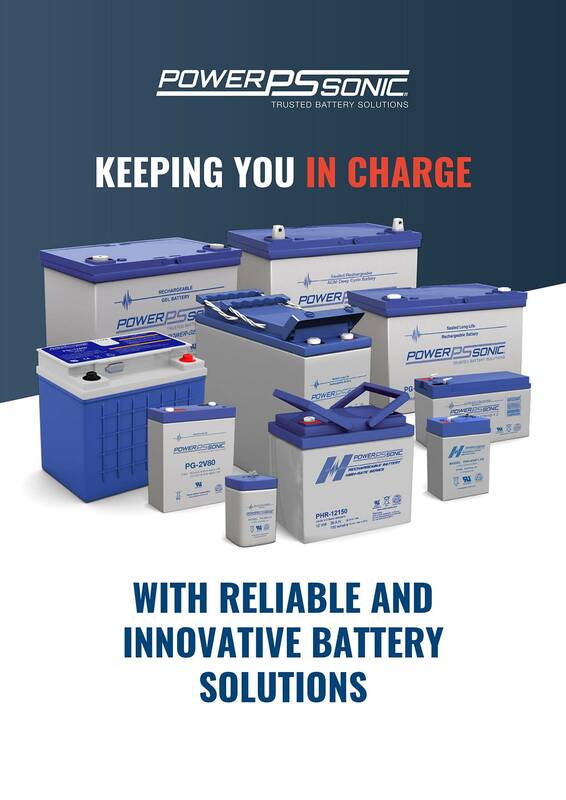 Power Sonic have been supplying innovative battery solutions that exceed customer demands since 1970. 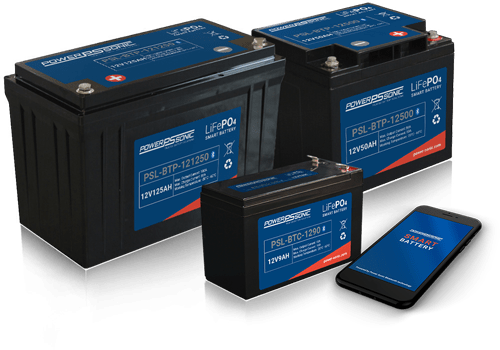 We offer a wide range of lithium iron Phosphate (LiFePO4) batteries, each specifically engineered to deliver a high cycle life and excellent performance over a wide operating temperature. LiFePO4 batteries are the safest lithium battery type currently available on the market today. The nominal voltage of a LiFePO4 cell is 3.2V when comparing to sealed lead acid, which consists of 2V cells. A 12.8V battery therefore has 4 cells connected in series and a 25.6V battery has 8 cells connected in series. Our line of LiFePO4 batteries offer a solution to demanding applications that require a lighter weight, longer life, and higher capacity battery. Features include advanced battery management systems (BMS), Bluetooth® communication and active intelligent monitoring. 12.8V and 25.6V Lithium Iron Phosphate battery range with built in Protection Circuit Module (PCM) delivering a high cycle life and exceptional performance over a wide range of temperatures. Utilizing an intelligent BMS and Bluetooth® communication, the Power Sonic Bluetooth® lithium series ensures you can monitor your battery status and localize any potential issues from a smart phone or tablet. 12.8V Lithium powersport battery range with an integrated management system that monitors and reacts to multiple voltage, current and temperature events to maximize performance, battery life and safety. WHY CHOOSE A LiFePO4 BATTERY? Benefits of a LiFePO4 battery include a wide operating temperature, up to 70% saving in weight, up to 70% saving in space, excellent cycling performance, low internal resistance and high efficiency. 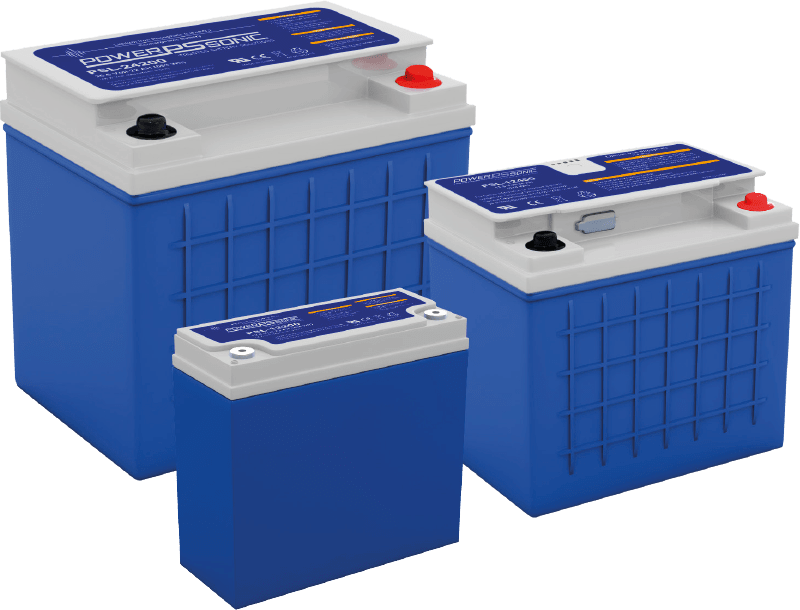 Power Sonic’s lithium batteries are drop-in replacements to lead acid batteries and are available with some of the most innovative features in the industry including advanced battery management systems (BMS), Bluetooth® communication and active intelligent monitoring. These benefits make Lithium Iron Phosphate the chemistry of choice for the most demanding applications. WANT TO FILTER OUR FULL BATTERY RANGE? Can’t find the battery you are looking for? 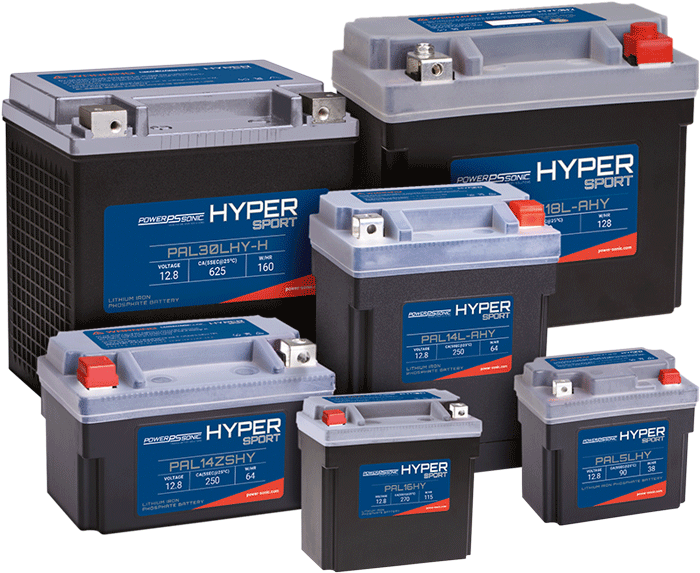 Power Sonic offer an extensive range of battery sizes and configurations that support various applications. For those applications that require unique power requirements our expert engineers can help design, develop, test and manufacture custom battery solutions for the specific needs of almost any application. Contact us today for more information on our custom battery solutions.